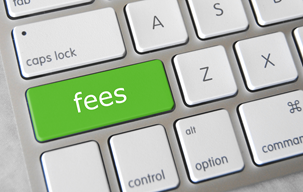 An accessorial fee is an add-on charge for things that make a shipment more complicated for the trucking company. Accessorial fees are typically a flat charge, and they’re usually charged when something takes the shipment out of the realm of a routine pick up and drop off. Think of them as a-la-carte charges. Accessorial fees vary by carrier. What they charge for and how much they charge fluctuates. When using Freight Rate Central, several accessorial fees are applied immediately based on the options you choose on our quotation system form. o If you require the shipper to shrink-wrap your pallets. o If the driver is required to load/unload a trailer with a pallet jack. o If you cause a layover, you may be charged. If the carrier causes the layover, the carrier pays. o Also known as TONU, this means that your load fell through. You may be charged depending on the cut-off time determined by your carrier. o If you keep the driver or trailer for an excessive amount of time. o When the transportation container travels back empty to its point of origin. o You may be charged for tolls during loaded miles. o If you require out of route stops. o Charged according to the price of fuel, allowing the carrier to stay in profit and not have to guess the price of fuel. o Charged if the carrier typically doesn’t deliver outside of business hours. o Some carriers charge a fee to handle cash they receive upon delivery. o Not common for truckload carriers, but may be charged if a driver has to deliver to a place other than a dock. o If the driver must drive to a different location after arrival to the predetermined address. o If you require the carrier to stop at more than one location to pick up or deliver the shipment. o If the carrier has to store the delivery. Can be charged hourly or daily. Ultimately, the types of accessorial fees and their amounts you will see depend on your shipment and your carrier. If you have any questions about accessorial fees for your particular shipment, contact us and we will be happy to assist you.